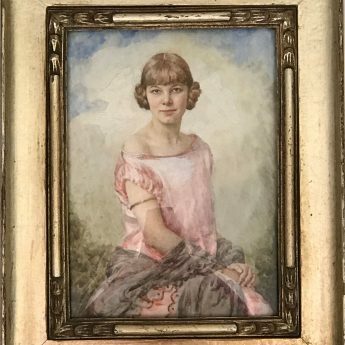 This coming of age portrait shows Ailsa Matthews seated in a garden and elegantly dressed in a sleeveless pink silk shift dress with a dropped waistline in the latest style, her arms draped with a black sheer shawl and adorned with a single gold bracelet. Her bobbed and curled hair is also very much à la mode. 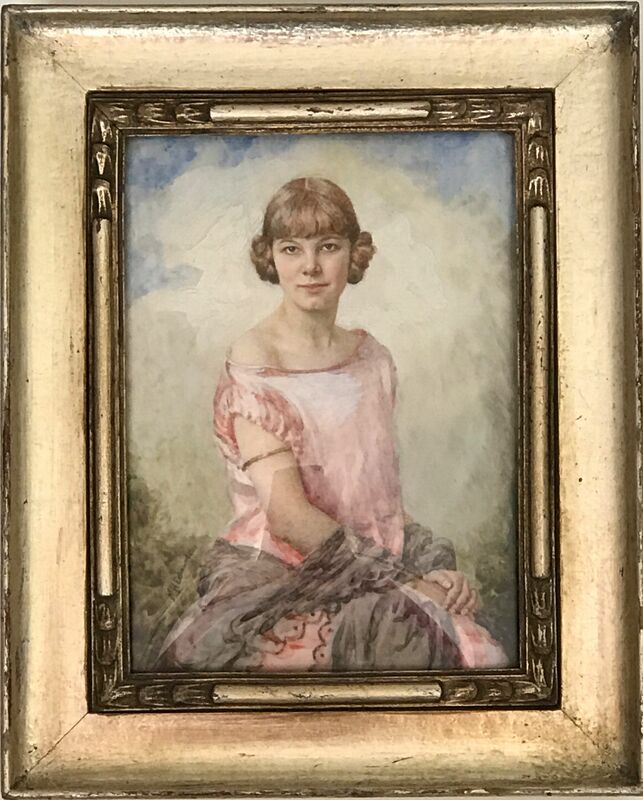 Beautifully painted and well exhibited, the portrait is signed N. H. Edmunds /25 on the obverse and is set in an attractive giltwood frame with a carved inner border. 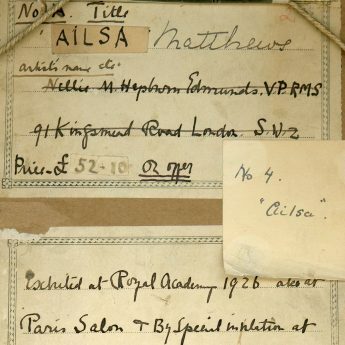 The original exhibition label is retained on the reverse along with later auction details. 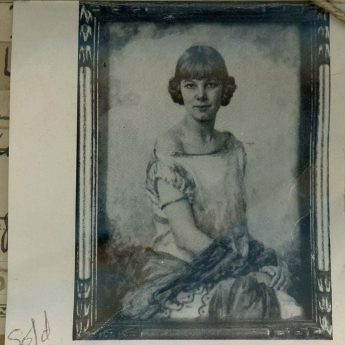 The portrait was originally offered by the artist priced at £52-10s. According to the Dictionary of Miniature Painters 1870-1970 (Arturi Phillips, 2012), Miss Edmunds was born in 1870. 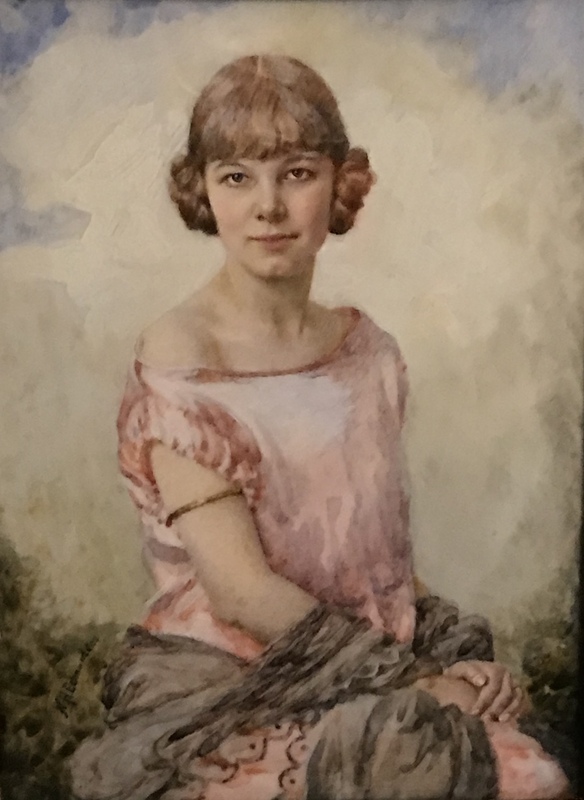 Her father died whilst she was still young so the family was supported by her mother’s work as a music and singing teacher. 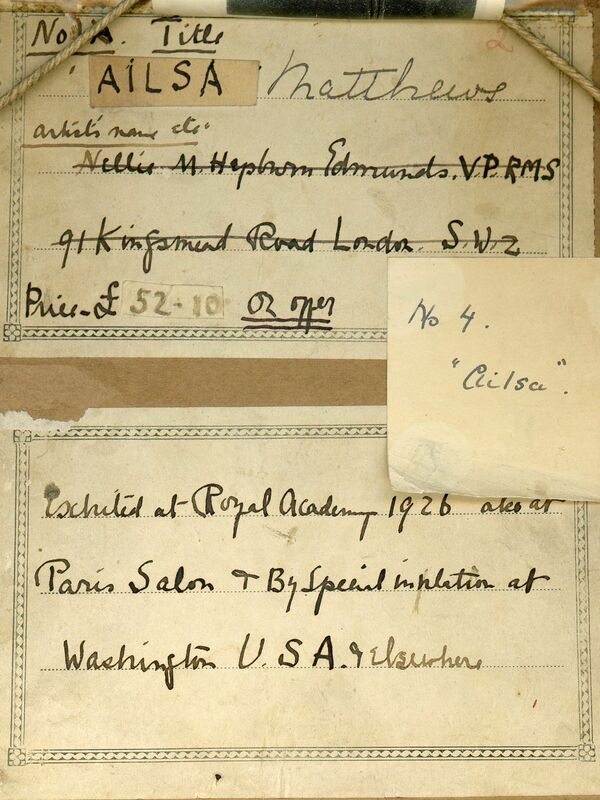 Nellie attended the Slade School of Art before establishing herself as a miniaturist. Amongst her many commissions was a special order from Queen Mary for several portrait miniatures for the royal Dolls’ House.